A house’s windows are one of its most striking features. If you have had new windows installed, and you’re sorted for window coverings, it pays to think about how else you might add some decoration and dynamism to your windows. Here are a few ideas from the team at Modern Blinds to ensure your home’s windows look as terrific as they should be. Painting your windows (or the window frames and surrounding area) might seem like a simple step, but it’s worth putting a bit of thought into how the paint job will look ‘in context’. Consider the overall colour scheme in the room, both inside and out. 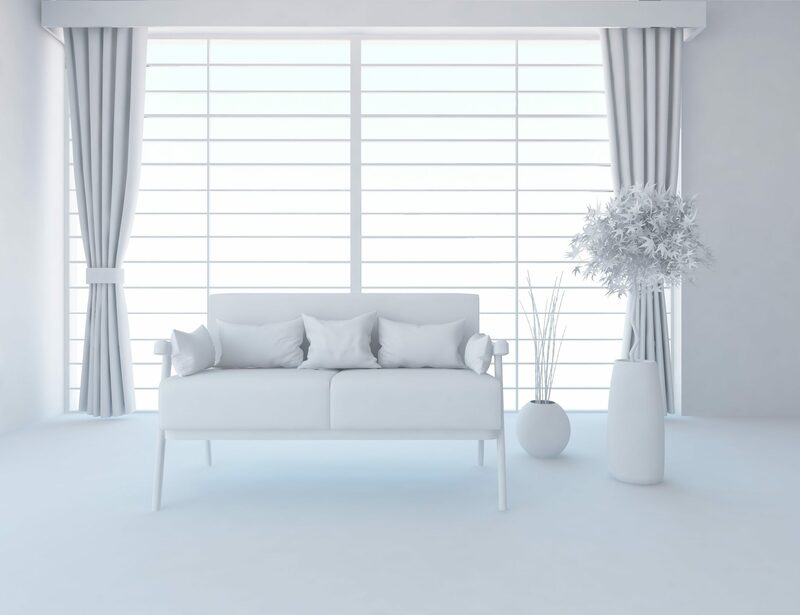 Non-complementary paints on the windows might create an unsightly contrast with the rest of the room, even though the colour looked great by itself in the showroom. Also consider the view that the window opens up to. If it’s a terrific view, you don’t want to use a colour that unnecessarily distracts from what should be the real object of the viewer’s attention. Think about the colours that lay behind the window. If the window looks onto a garden of greenery, it would be off-putting to have a red painted window in front of it. In that case it would be preferable to use a nice white paint so that the window provides a neutral ‘frame’ for the view. It’s important to apply an undercoat or ‘primer’ paint before you paint the windows their final colour. Undercoat has the effect of ensuring greater adhesion of the final paint to the surface, while also increasing paint durability and providing additional protection of the underlying surface. This is particularly important for exterior paint jobs that will be exposed to those Queensland elements! With that all done, it’s time to consider any other decorations that could rest on the windowsill or beside it. If you lack the greenery outside to look onto, it might be a good idea to position some small indoor plants on the windowsill to add a bit of colour and life. Be sure to choose the right plant for the amount of sun that window receives – otherwise, you might find yourself with a dead plant. Vases and trinkets can be added to taste, depending on the kind of ‘theme’ that you’re going for with your living space. Vases can be a great option because a decorative vase can interact well with the light that shines through the window. Photo frames of your loved ones never go astray, of course, particularly in a family home. Consider also some hanging decorative lights. These are as much for outside viewing as for inside. Having some warm, decorative lights visible through the windows adds an air of cosiness and intimacy, particularly during festive seasons! Here at Modern Blinds, we try to view windows and window adornments holistically to provide the best solutions, functionally and aesthetically, for your home. Contact us today to sort out your window covering needs!